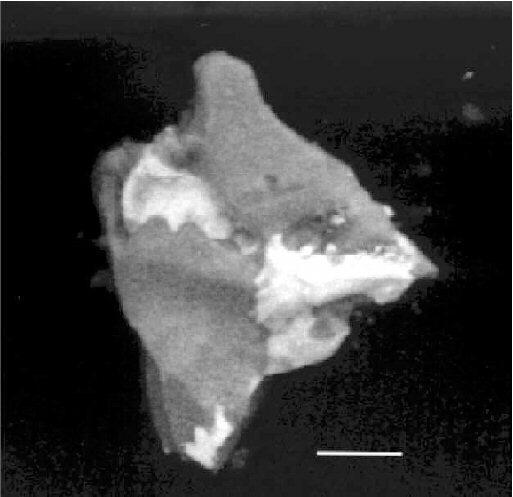 Comments: Images of burnsite grains (dark) in intimate intergrowth with cotunnite (light). Images obtained by scanning electron microscopy. Location: North Breach of the great fissure Tolbachik volcano eruption (1975-1976), Kamchatka Peninsula, Russia. Scale: Scale bar: 20 µ-m.